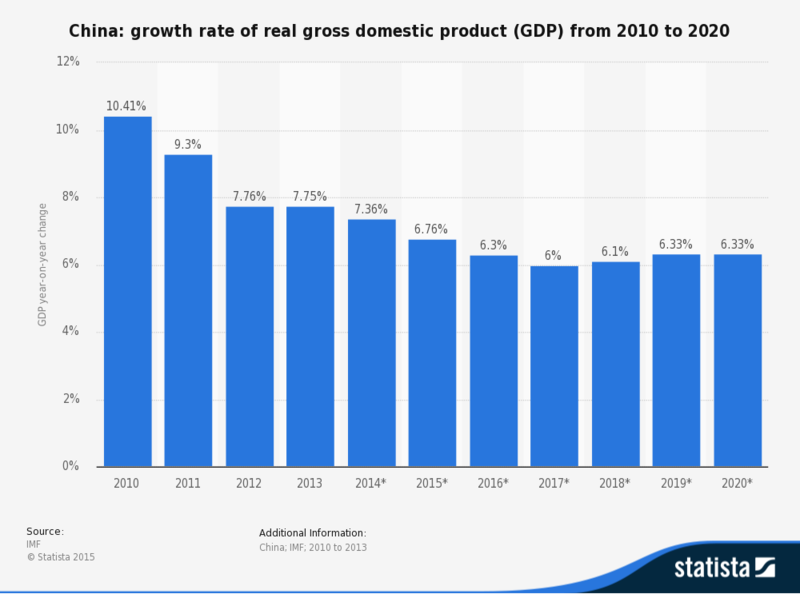 China’s economic growth has been slowing for six years – far longer than expected. Eager to stem the slide, Chinese government officials and economists have desperately sought a clear explanation pointing toward an effective policy response. And, last November, they officially placed the blame on long-term supply-side shortcomings, which they pledged to address with far-reaching structural reforms. But, although Chinese officials should be applauded for their commitment to implementing painful – and badly needed – structural reforms, the supply-side focus largely ignores the present. China faces two separate challenges: the long-term issue of a declining potential growth rate and the immediate problem of below-potential actual growth. Among the long-term factors undermining potential growth are diminishing returns to scale, a widening income gap, and a narrowing scope for technological catch-up through imitation. Moreover, even as the country’s demographic dividend dissolves, its carrying capacity (the size of the population the environment can sustain) is being exhausted – a situation that high levels of pollution are certainly not helping. Finally, and most important, the country is suffering from inadequate progress on market-orientated reform. While some of these factors are irreversible, others can be addressed effectively. And, indeed, the government’s supply-side reform strategy will go a long way toward doing just that, ultimately stabilizing and even raising China’s growth potential. But, contrary to popular belief, they will not boost China’s actual growth rate today. Why are so many economists convinced that a long-term reform strategy is all China needs? One reason is the widely held notion that today’s overcapacity reflects supply-side problems, not insufficient demand. According to this view, China should implement policies like tax cuts to encourage companies to produce products for which there is genuine demand. That way, the government would not inadvertently sustain “zombie enterprises” that cannot survive without bank loans and support from local governments. But only some of China’s overcapacity can be attributed to bad investment decisions. A large share has emerged because of a lack of effective demand. And that is, at least partly, a result of the government’s effort to moderate real-estate investment, which has caused the sector’s annual growth to tank, plunging from 38% in 2010 to 1% at the end of 2015. With real-estate investment still accounting for more than 14% of GDP last year, plummeting growth in the sector has put considerable downward pressure on the economy as a whole, helping to push China into a debt-deflation spiral. As overcapacity drives down the producer price index – which has now been falling for 51 consecutive months – real debt rises. This is undermining corporate profitability, spurring companies to deleverage and reduce investment, and fueling further declines in PPI. The enduring importance of real-estate investment to China’s economic growth is reflected in trends from the first quarter of this year. Annual GDP growth of 6.7%, despite being the slowest rate for any quarter in seven years, exceeded market expectations. And it was driven partly by an unforeseen increase in real-estate investment growth, to 6%. This is not to say that what China needs is more real-estate investment. According to the National Bureau of Statistics, China had 718 million square meters of unsold commercial and residential floor space at the end of 2015; when space under construction is factored in, inventory expands to more than five billion square meters. With an average of only 1.2 billion square meters of housing being sold each year, the best way to reduce this supply glut is clear: limit future construction. One of the most important reasons for the recent investment surge was abundant liquidity driving speculative demand – and that is hardly sustainable. But not all investment is created equal. Infrastructure investment, in particular, may well be the key to tackling China’s economic woes. After all, such investment, which grew at 19.6% in the first quarter of 2016, has already proved to be a critical driver of economic growth – and, unlike real-estate investment, it has not worsened China’s resource allocation or set the stage for major imbalances. When there is slack in the economy, the only way to escape the debt-deflation trap is to grow strongly. Given that China is saddled with large local-government and corporate debts, but also enjoys large domestic savings and a strong fiscal position, this message could not be more pertinent. In an ideal world, domestic consumption would serve as the main engine of growth; under current circumstances, infrastructure investment is the most reliable option. In the short term, when overcapacity and deflation are the main obstacles, infrastructure investment boosts growth through the economy’s demand side. In the long run, it operates through the supply side to boost productivity and thus raise growth potential. China can fund such investment with fiscal deficits, given strong demand for government bonds. And, with China’s major banks still state-owned, and capital controls still in place, the risk of an imminent financial crisis is very low. Of course, China’s government must uphold its commitment to implement structural reforms. But infrastructure investment is also badly needed, not just to prevent the economy from sliding further, but also to enable China to generate the sustained long-term growth that it requires to achieve developed-country status.